Pioneering journalist Marlene Sanders: She made media take feminism seriously. 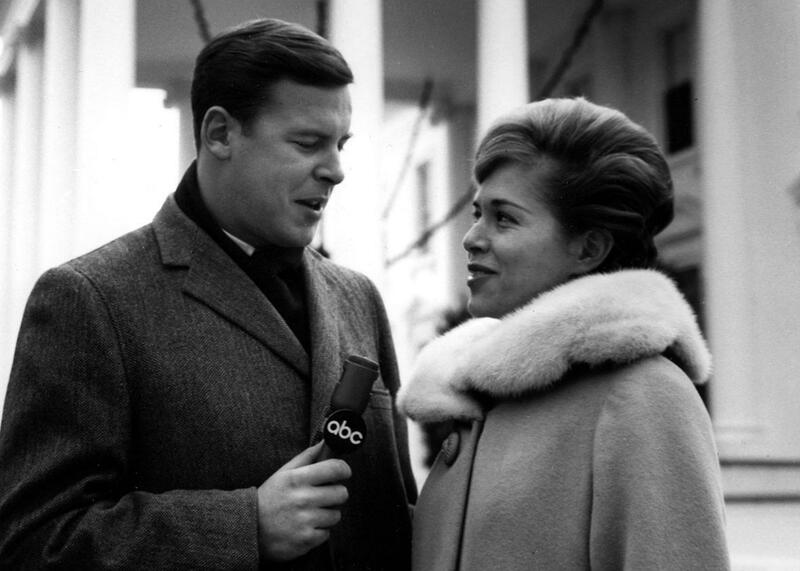 Peter Jennings and Marlene Sanders during President Lyndon B. Johnson’s inaugural address on Jan. 20, 1965. Pioneering television journalist Marlene Sanders passed away on Tuesday at the age of 84. Her prolific, decades-long career comes with a litany of “firsts”: she was the first female television correspondent in Vietnam, the first female anchor on a U.S. network television evening newscast, and the first female vice president of ABC News. Sanders understood the movement’s potential and importance, and the need to cover it with respect. Determined to make the subject a central focus in mainstream media, she reported and produced “Women’s Liberation” for ABC News in 1970, the first of her seven documentaries on the topic.